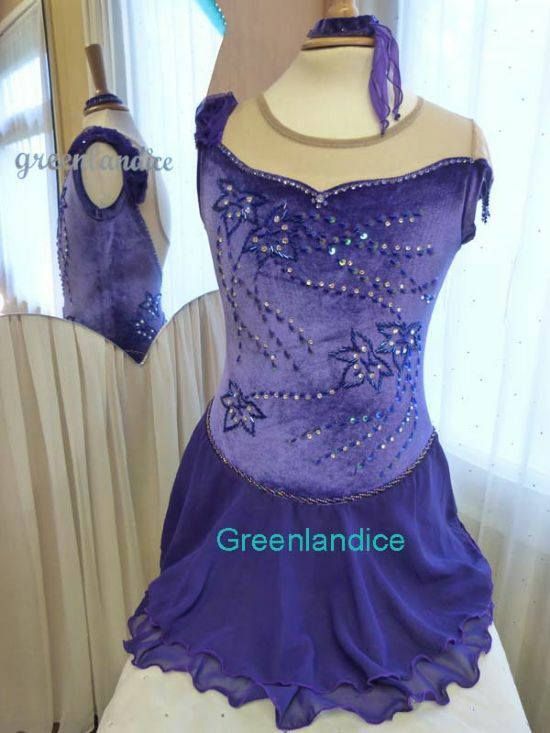 Please use the contact form and give your skater's measurements if you would like help selecting the right size dress from the store. 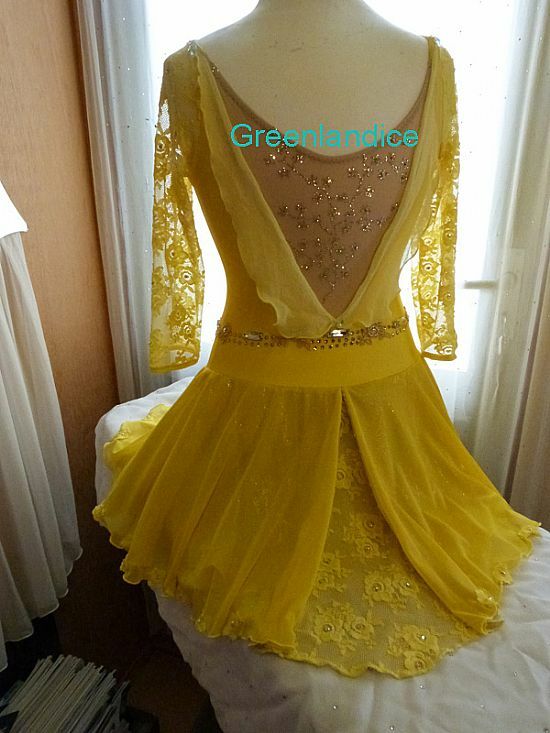 Please scroll down to see the Gallery of sold dresses. 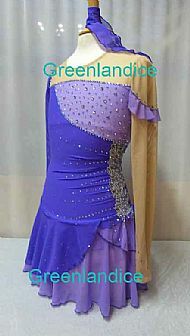 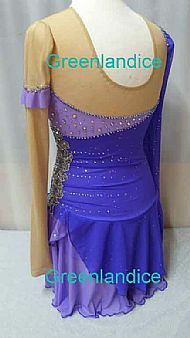 Purple and lilac dress decorated with Swarovski crystals and beads. Light Sapphire Shimmer, Tanzanite AB, Provence Lavender and Crystal. 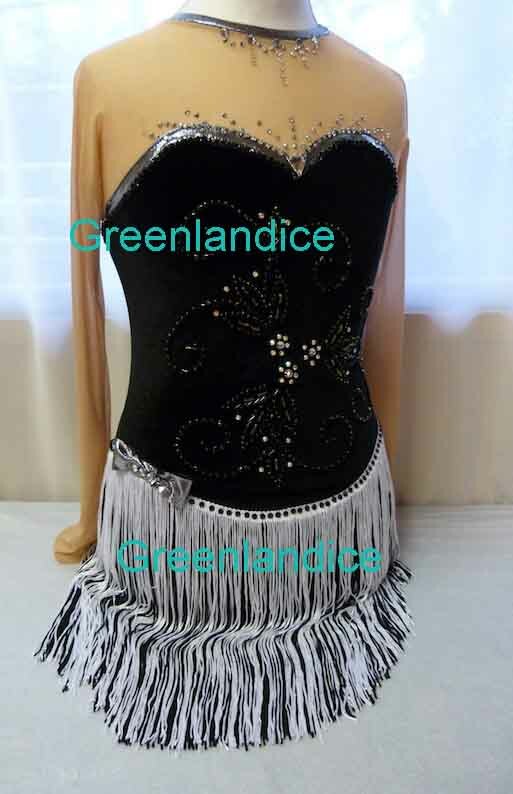 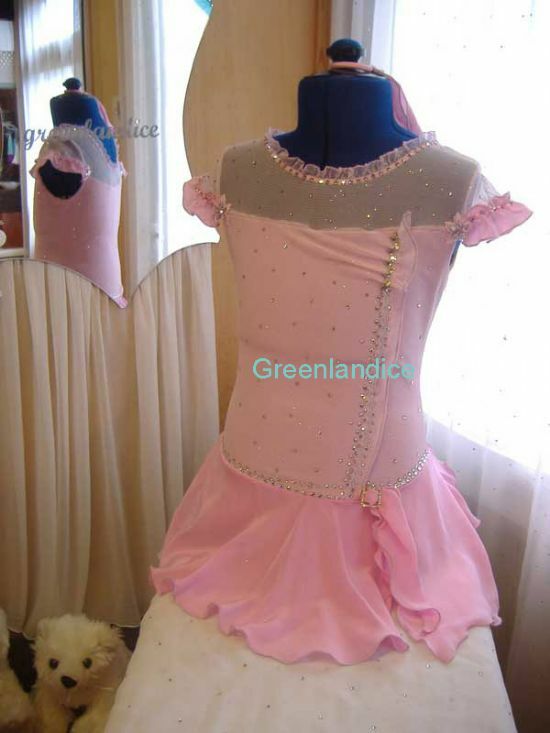 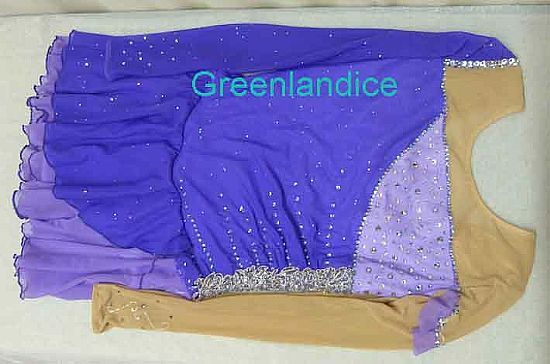 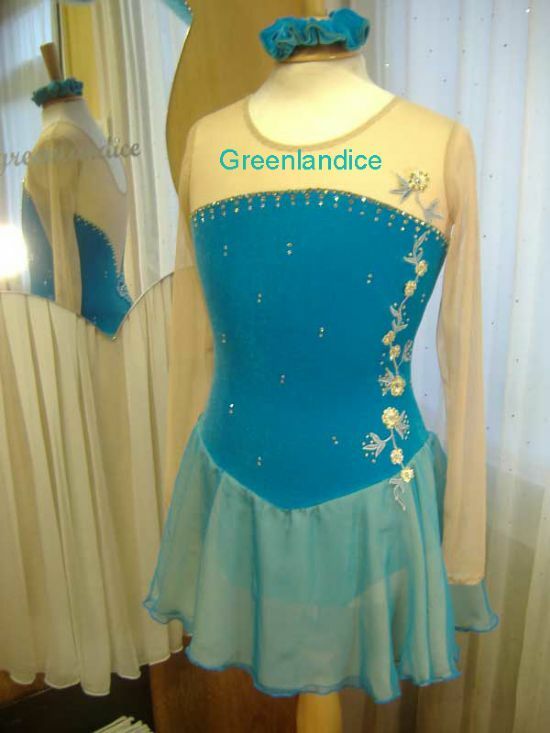 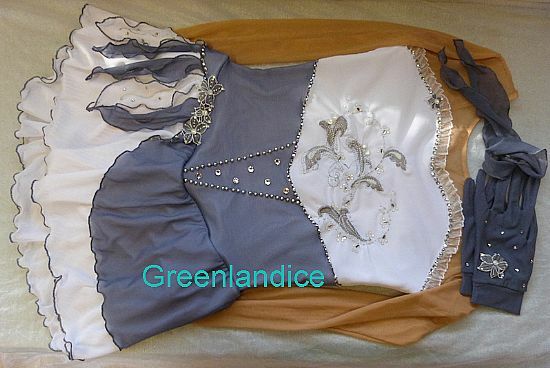 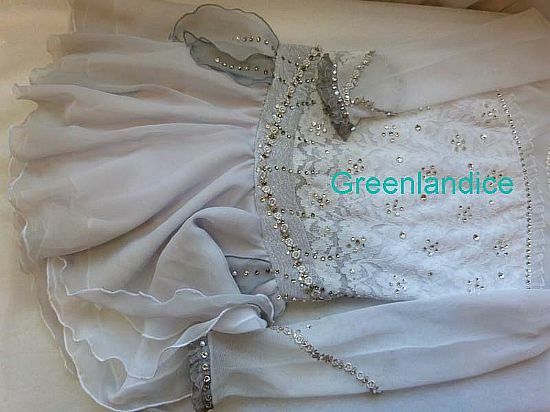 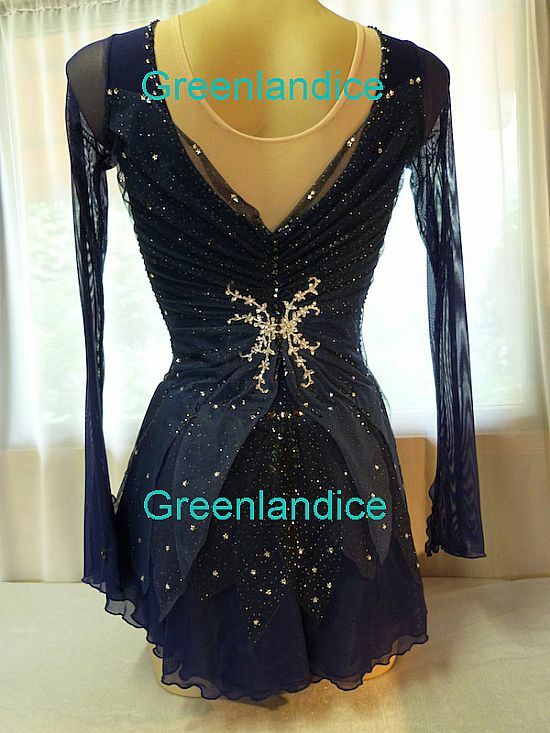 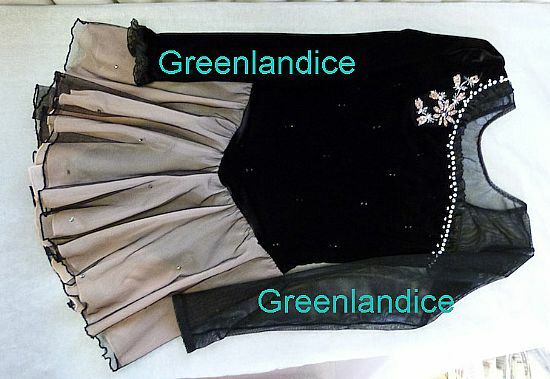 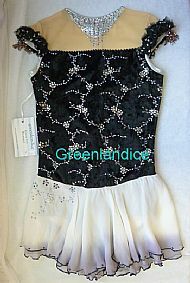 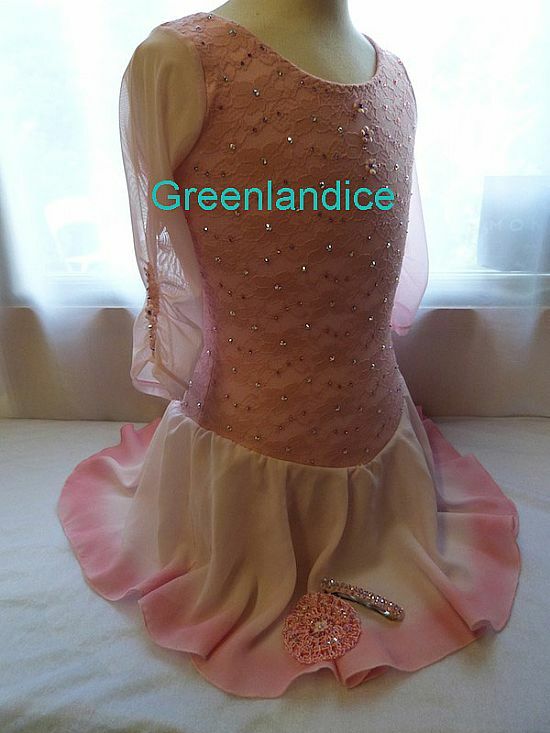 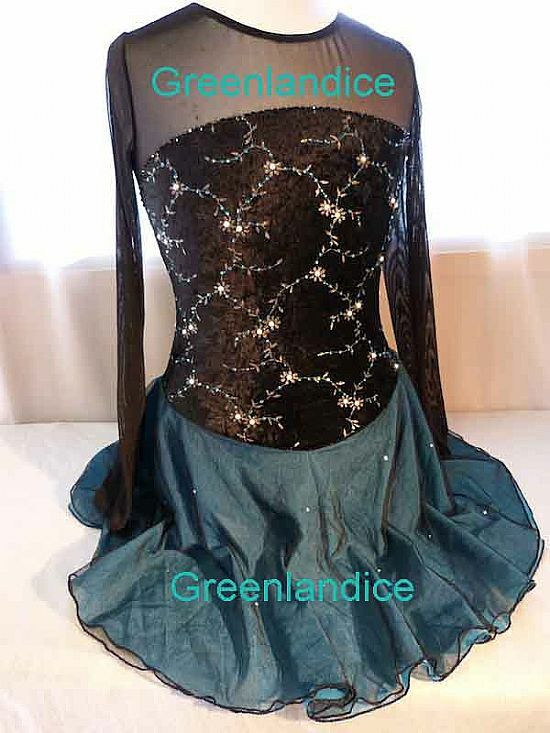 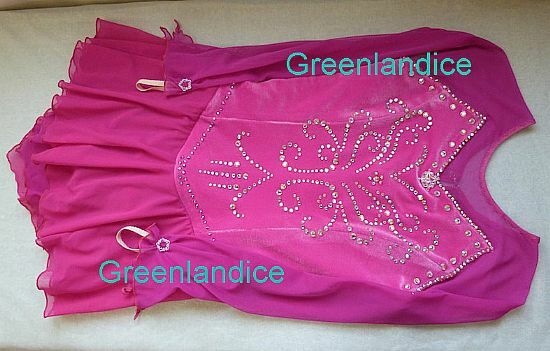 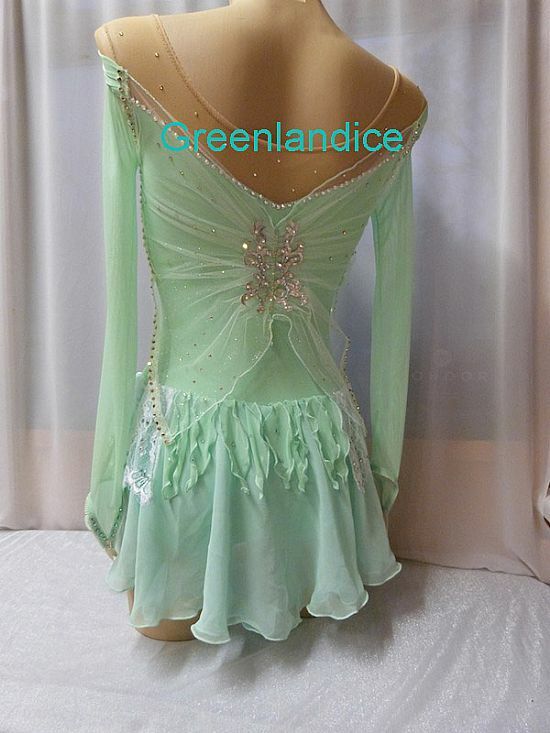 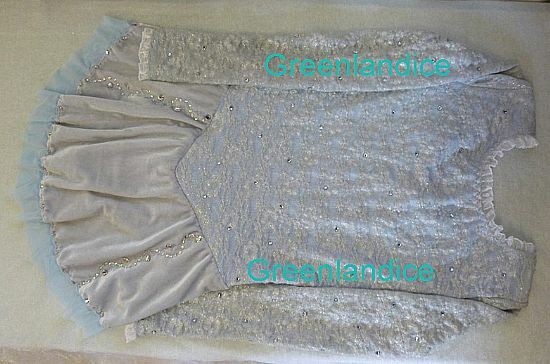 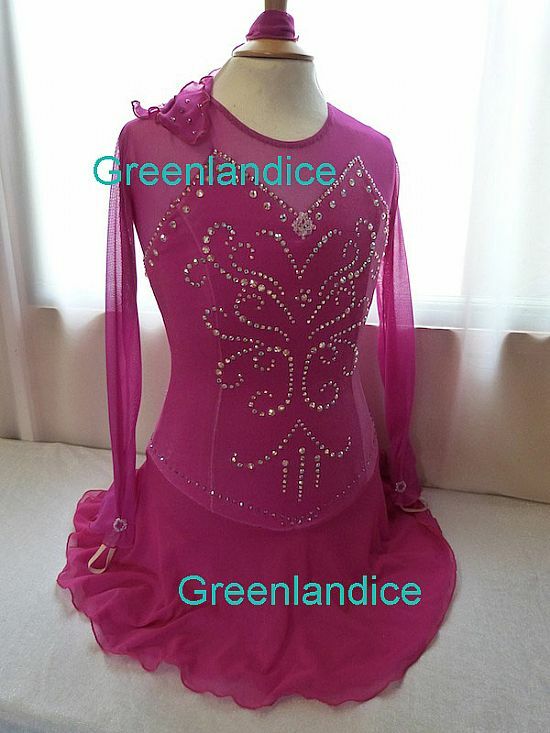 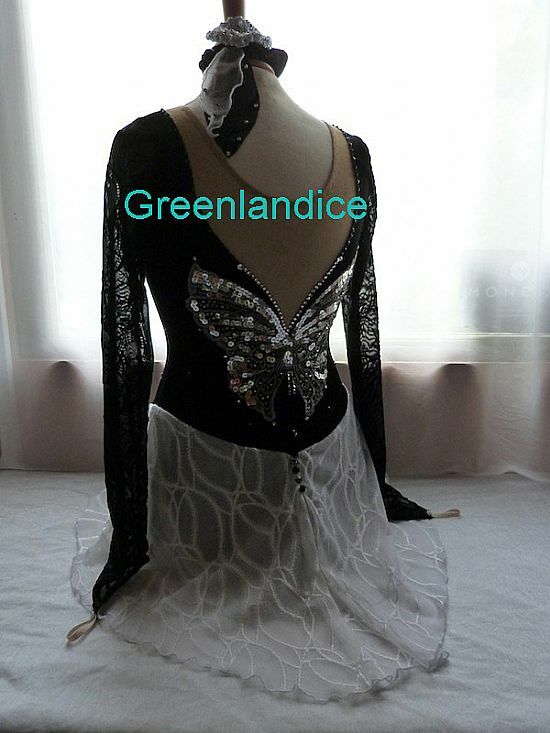 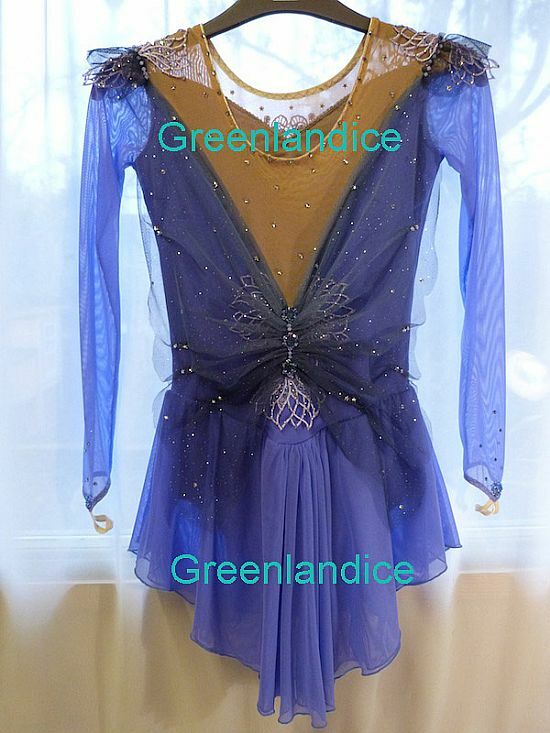 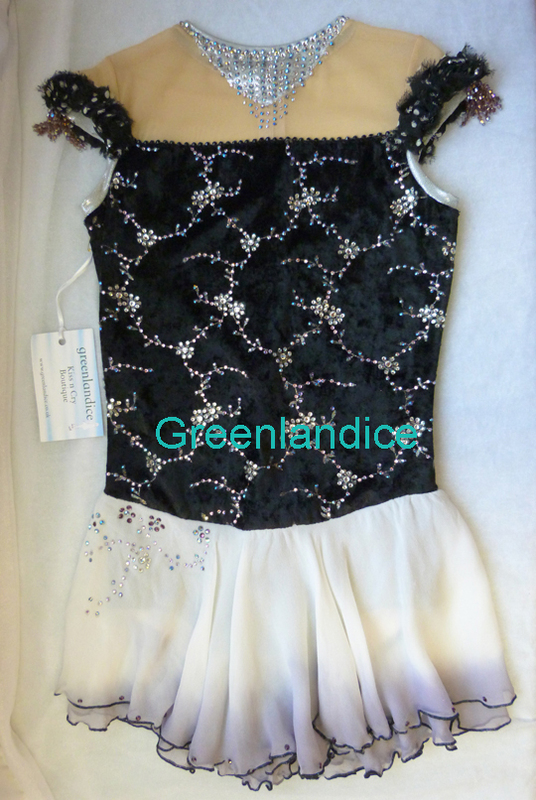 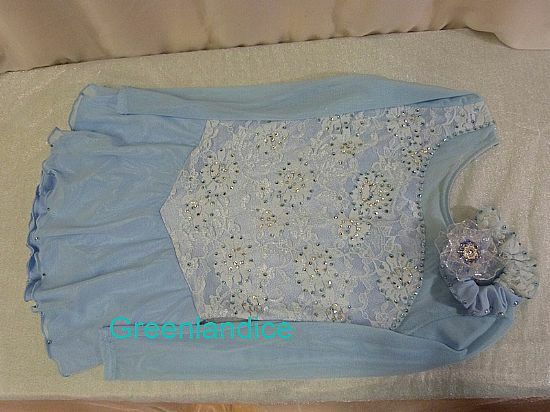 The dress comes with a matching crystal hair tie plus optional crystal competition gloves Child Large size for +£20. 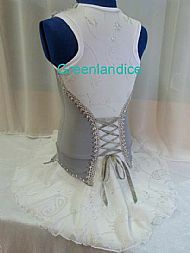 Please ask for another invoice using the contact form if you would like to order these too. Velvet bodice with long mesh sleeves and skirt. 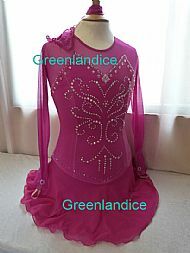 Decorated with Swarovski crystals in Crystal AB, Fuchsia AB and Rose AB. 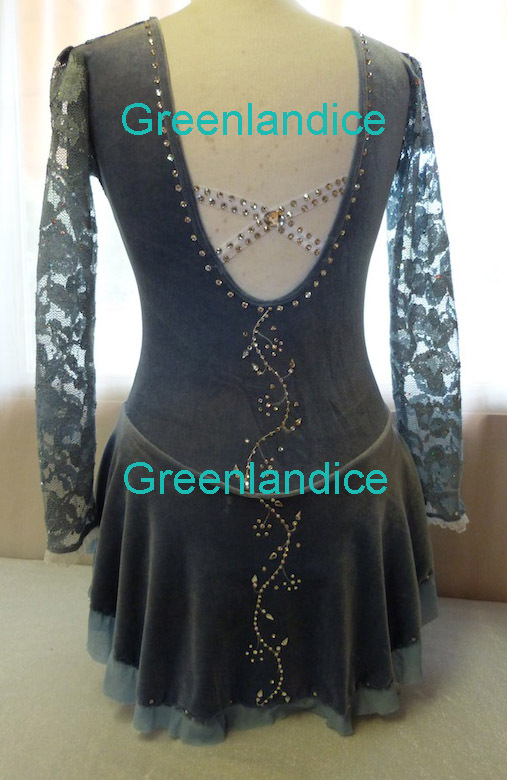 Plus hand made beaded buttons. 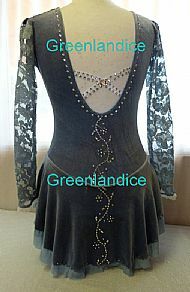 The long sleeves are gathered on the top of the wrist and have finger loops. The cuffs have tiny trails under the hand. 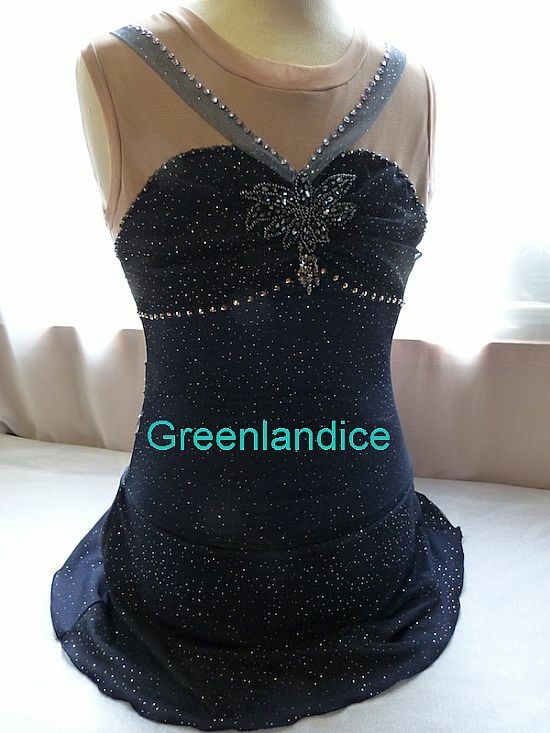 The dress comes with a matching crystal hair tie. 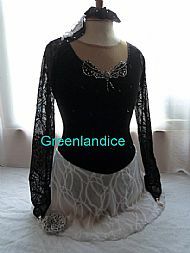 Black velvet bodice with black flocked net sleeves and white flocked net skirt. 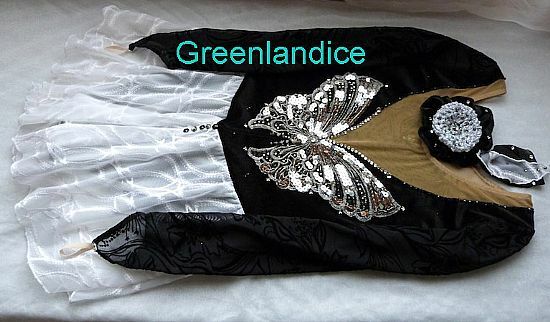 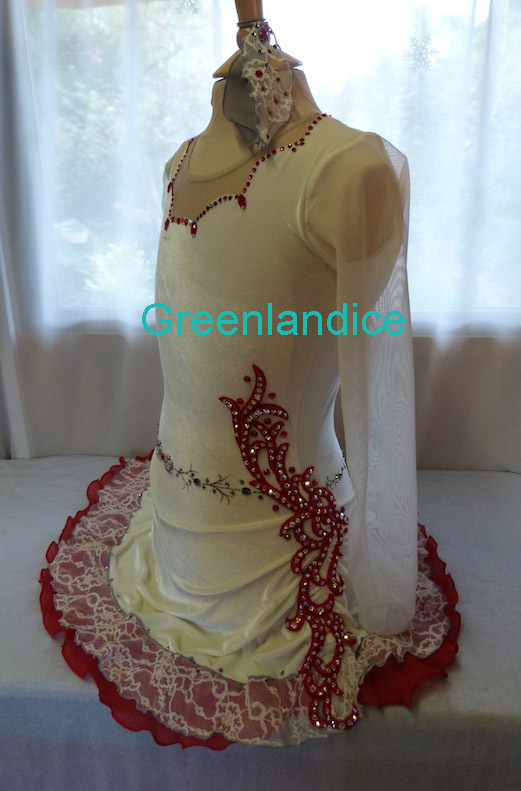 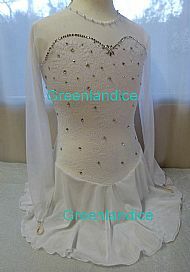 Decorated with a silver butterfly applique on the back and lots of Swarovski crystals including silver stars. 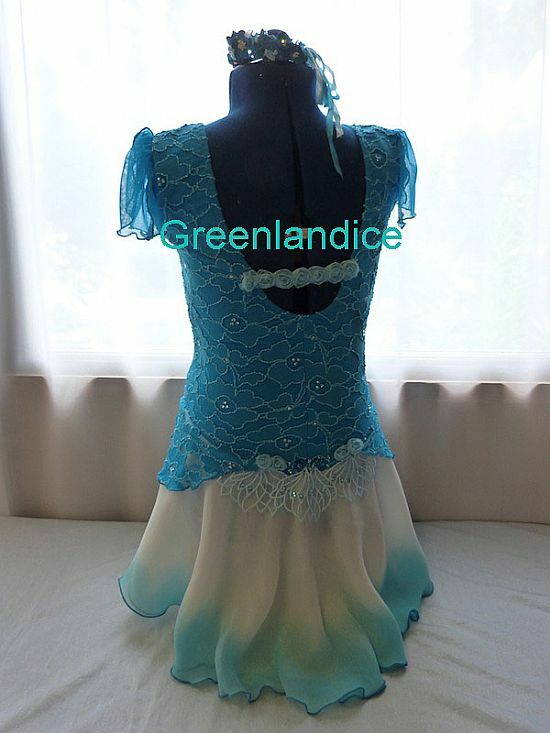 Dress laid flat- back view. 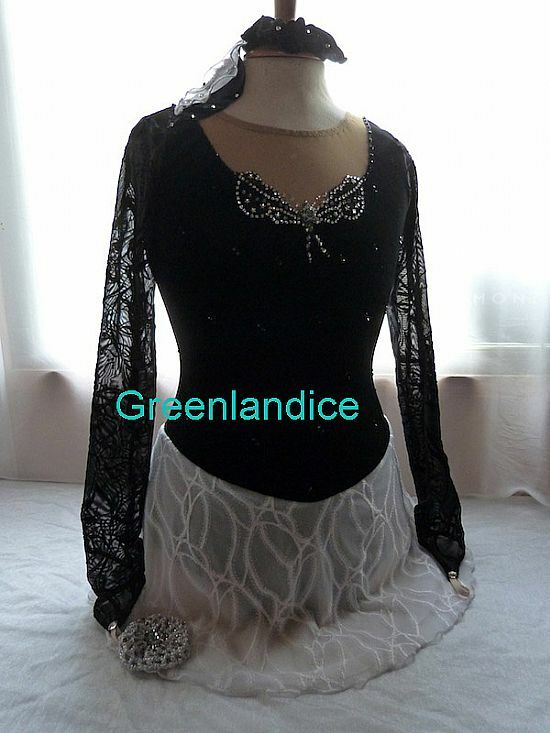 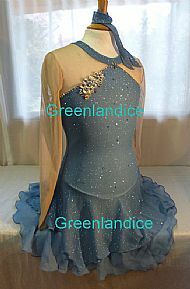 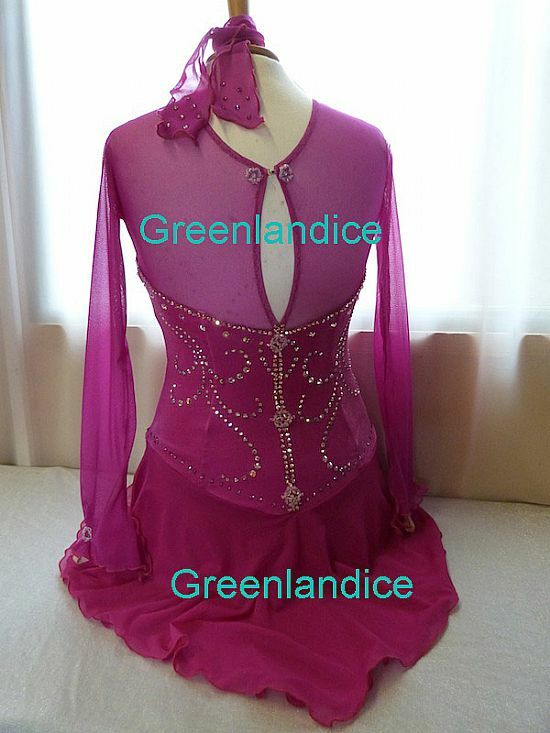 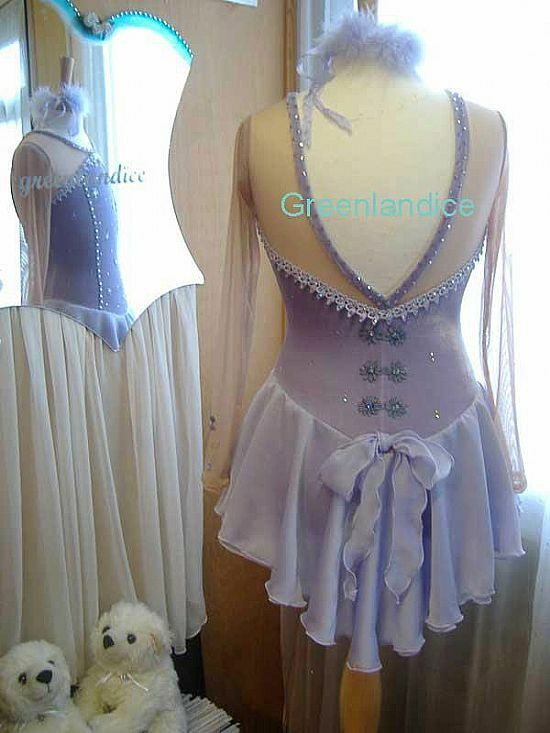 There is room in your costume shipping package to add a pair of crystal tights and greetings card etc. 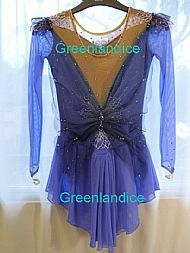 Postage for these items will be refunded if you pay for your shipping cart in one payment. 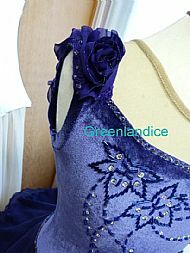 Otherwise, email us with your shopping list for your own personal Paypal invoice.